On this page we pay our respect to the dogs we loved and lost. 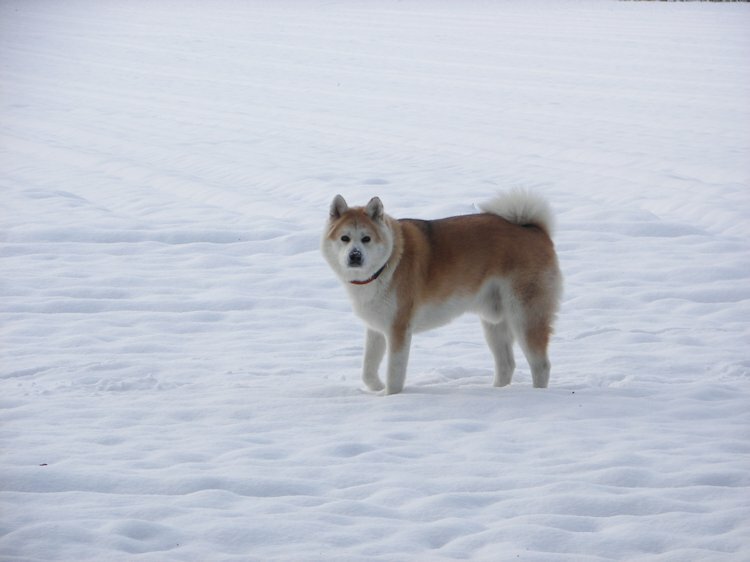 Raiko was our first dog and our first experience with the Akita. Raiko was a lovely dog with a distinct character. Before Raiko came to live with us, there were a lot of hours reading beforehand. As most people know the Akita is not a beginner dog, so we went to visit shows and breeders to get as much information as possible. When we thought we knew enough Raiko came to our lives. Raiko was a real dominant male in his younger years. He wanted all the dogs in our neighbourhood to know he was king. After Raiko turned 3 years old he lost the need to prove himself and he turned into a very lazy dog. Raiko loved his cuddles and loves his food even more. Whenever you needed to find him, he would probably be on our bed chilling.